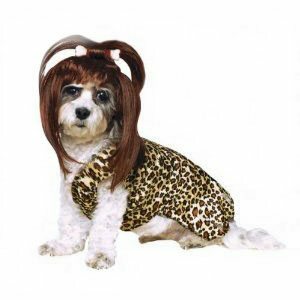 Leopard spotted animal print dress comes complete with a bone accented wig. Your pup will look like she just came out of the town of Bedrock. Look out Pebbles, here comes Cave Girl a modern stone-age dog. This Rubie's girl dog costume will get a lot of Yabba Dabba dos.